Hi everyone!! Today, I wanted to share with you my "SinCity Stamps Swatch Book"! I didn't know what I was going to call this book until it was finished! I haven't made the cover yet because I only thought of the name 10 minutes ago!! I was thinking recently about what my next project would be. I already had 3 SCS sets before being part of the design team(BECAUSE THEY ARE THAT AWESOME!!) and now, having even more, I thought I would stamp the images into a book. When I run out of room, I can add cardstock pages in between. Then, when I want to see what images I have all I have to do is open a book and see them all! No more looking through all the drawers of stamps and stuff. Just a little book! I thought it was a fabulous idea!! Here is how I made it. 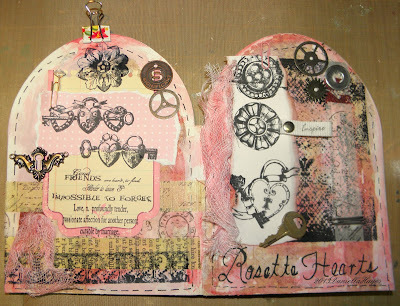 The first stamp set I decided to use is the Rosette Hearts Set. I got my board book, the paper and my favorite medium out and started my task! I traced the shape of the open book on to my paper. I knew it was smaller than the book but I had other things to do other than put paper on the book. 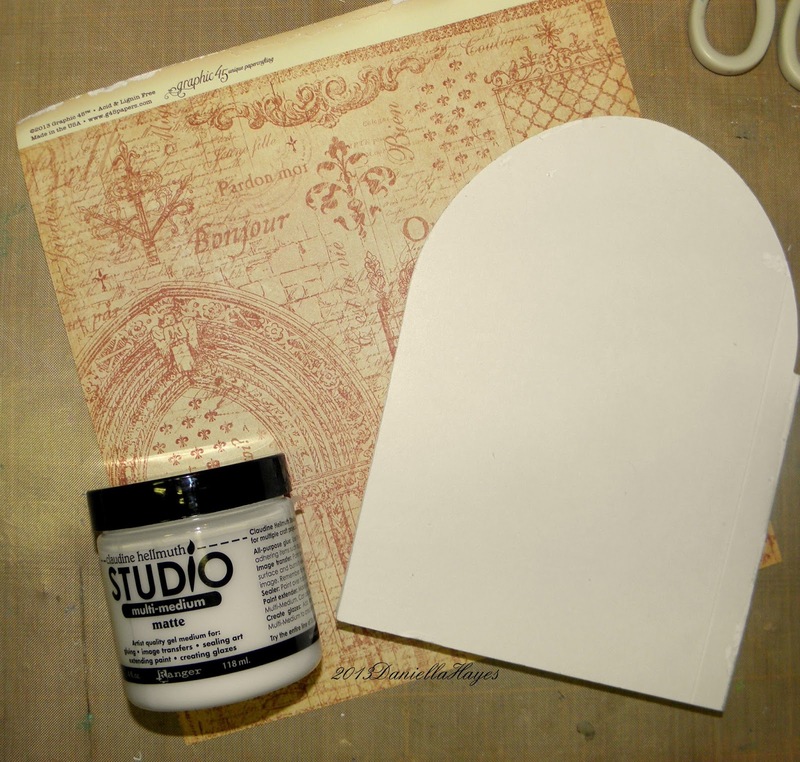 After I traced the paper, I attached it to the book using gel medium on the book and on the paper side I wanted to use. I then let it dry. 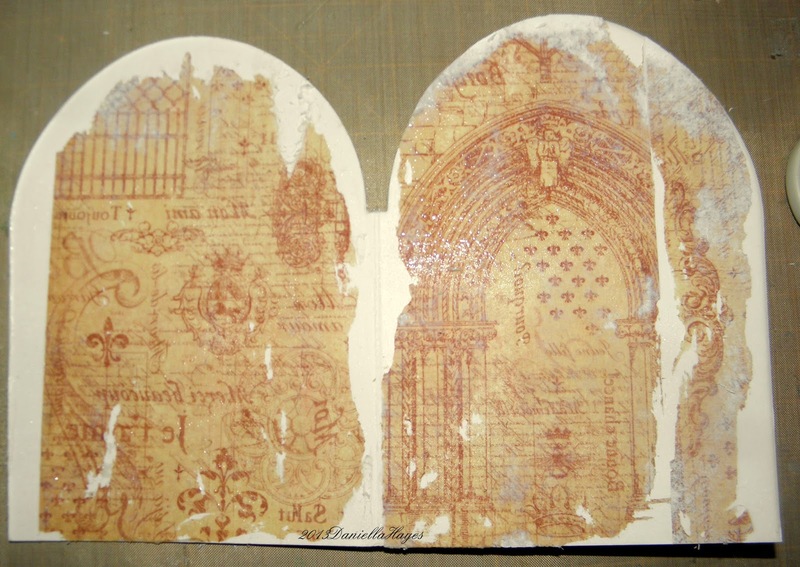 When it was dry, I sprayed it with water and began rubbing the paper off to reveal the transferred image. This is the result of the rubbing! 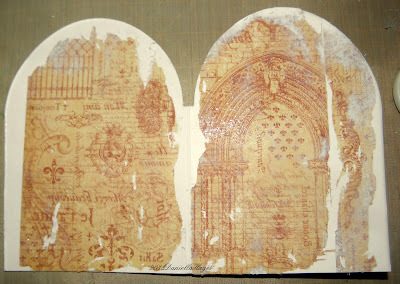 As you see above, the red paper was what was showing during the transfer. But the result is the advertising piece that was on the back. Next, I added paints and Gelatos. Now, the STAMPS!! I started on the right side and I put the large background stamp on with Stewart Superior Black India Ink. 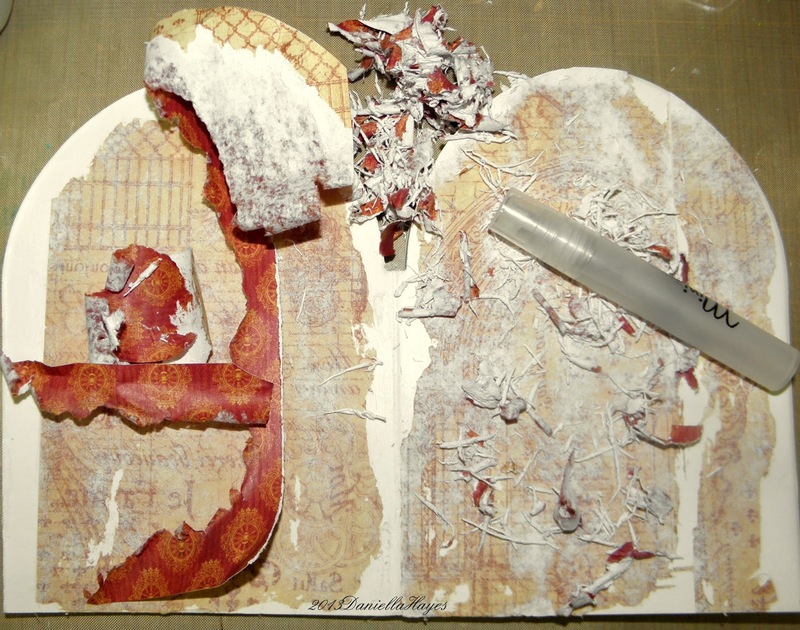 Then added papers. On the white piece of paper, I stamped the locked heart and 2 medallions. I wrote on the bottom "Rosette Hearts" so I know which set it is (as if I would forget!!). Then, I laid out the left side before gluing or stamping. The finished project again! The rest of the stamps are on the left. The beautiful border stamp, the gorgeous hearts and keys and flowers! Also, the sayings that come with the set. I embellished it (even though I didn't have to!) and I love how it turned out!! 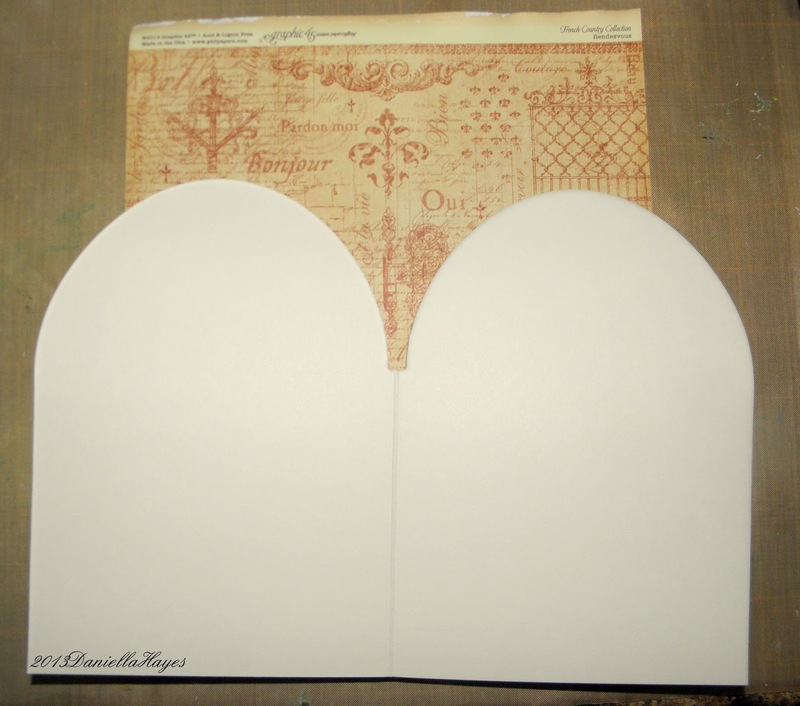 I can't wait to make the pages for all my other sets! I hope you enjoyed this project and I hope you will try one for yourself! It is fun and will save you so much time later!! 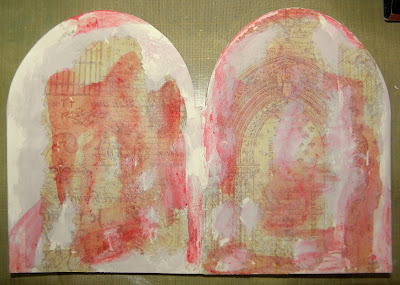 Love your project Danielle and great step by step! This is a really great idea, Daniella. I may have to borrow this idea for myself. 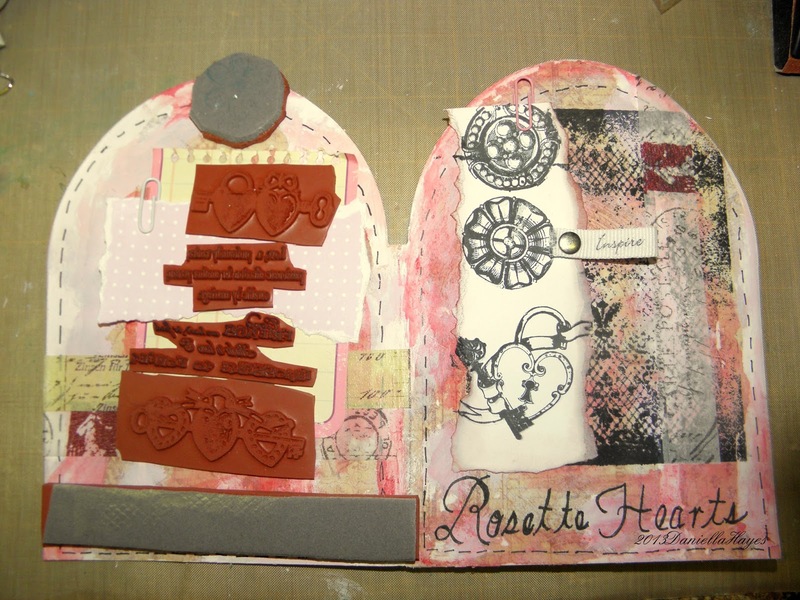 What a fun way to display the stamps sets, and make art with them at the same time.